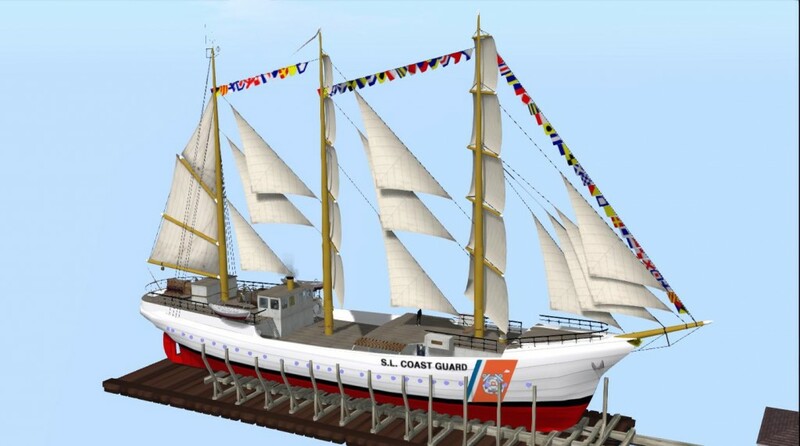 Big Thank You to Bunnie Mills, who is the stellar eyes and hands behind the great sail textures at Trudeau Classic Yachts in SL™! 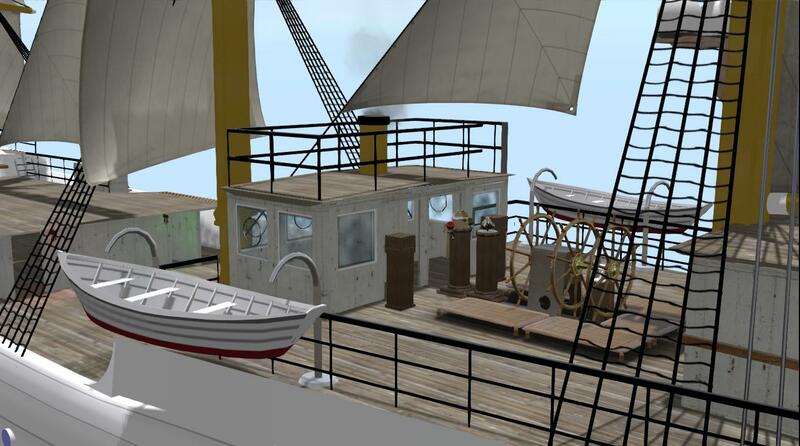 Here are the latest from the work in progress, the Barque Eagle, nee Horst Wessel. 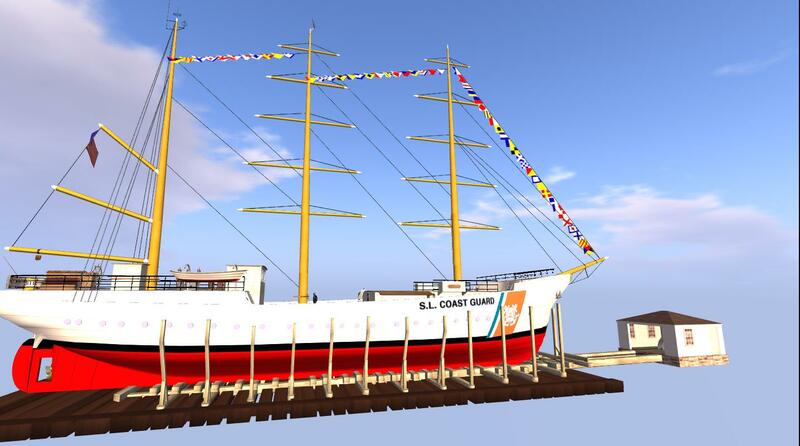 This model is prepared for the SL Coast Guard, who I am sure will keep her in Bristol condition.